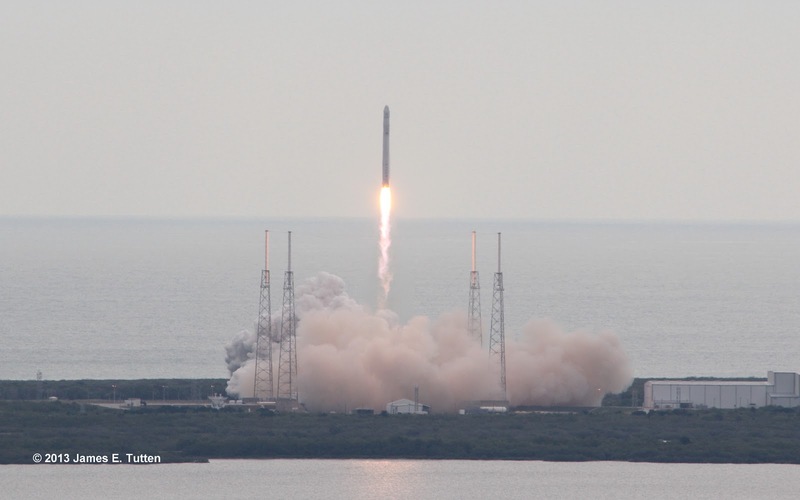 CAPE CANAVERAL — SpaceX continued to prove their rocket launch system on its second official and third total mission to resupply the International Space Station despite having another potentially damaging technical issue en-route. The Falcon 9 rocket performed a textbook launch from Space Launch Complex 40 at the Cape Canaveral Air Force Station in Florida on Friday, March 1. But once in orbit the Dragon capsule experienced an issue with three of its four thruster pods, as the onboard system prevented them from firing properly. This could have cause a failure of the mission because it would have prevented Dragon from reaching the proper speed and altitude required for it to reach the ISS. SpaceX engineers monitored the situation, giving the spacecraft support and eventually purging the blocked valves allowing the vehicle to get all of its thrusters firing. Though originally scheduled to dock with the ISS less than 24 hours after launch this thruster issue postponed the docking with the ISS by an additional 24 hours. “Spaceflight will never be risk-free, but it’s a critical achievement that we once again have a U.S capability to transport science to and from the International Space Station,” said William Gertenmaier, NASA’s associate administrator for the Human Exploration and Operations Mission Directorate in Washington, in a statement released by the administration. Despite this technical issue this mission is business as usual for SpaceX. Along with delivering general supplies, the craft will also contribute to materials research in areas including combustion, life science and the refined use and production of solar sails and semiconductor chips. These experiments are currently ongoing aboard the ISS with results scheduled to return to Earth when Dragon finishes its mission later this month. The Dragon spacecraft is currently scheduled to return to Earth by splashing down in the Pacific Ocean on March 25. Until then, members of the Expedition 34 crew are working on a number of scientific research projects and filling Dragon with other materials destined to return to Earth. Along with the 50 launches currently planned by SpaceX is the next resupply mission or CRS-3 in late fall of this year. This mission with be the first CRS mission to utilize the upgraded Falcon 9 rocket that is designed to greatly improve the launch weight capacity for future missions. 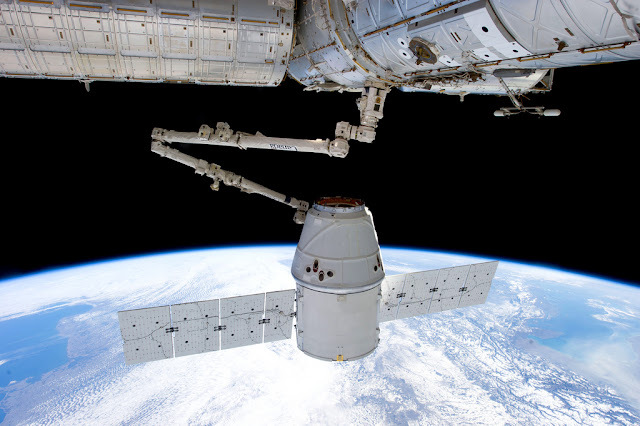 If everything stays according to plan and the issues stay small to nonexistent, SpaceX is still poised to launch a manned mission to the ISS in the future, helping to break NASA’s reliance on the Russian space program in the post-shuttle era.